in '96 Reebok signed a player that would change the company's history, Allen Iverson. In '96 his first model, The Question, dropped, and a few years later Reebok decided to re-release them to the schools they were sponsoring. In 2000, Mateen Cleaves and other Spartans rocked their forest-green-toed Questions on their way to the national championship. 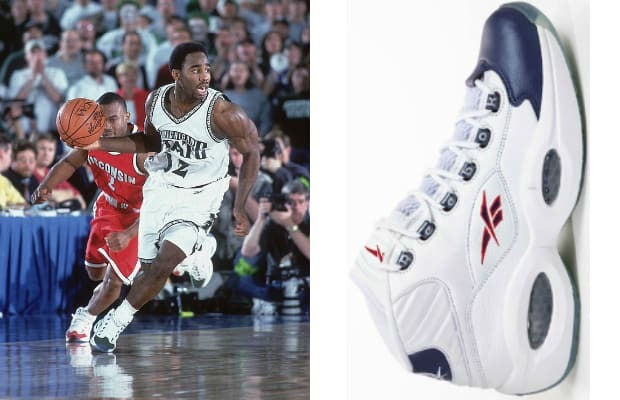 The shoe was made famous for its honeycomb-styled visible Hexalite cushioning, which Reebok abandoned on the Answer models.